You are here: Home / Blog / Uncategorized / How to Minimise Wrinkles? 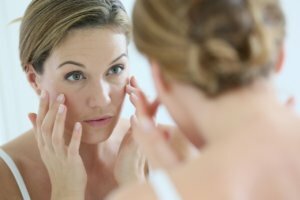 How to Minimise Wrinkles? Wrinkles are a normal part of ageing. As we grow older fine lines appear on our forehead, at the corners of our eyes, on the edges of our mouth and even on our necks. Some people, however, get them earlier than others do. Men and women usually see the first signs of ageing at 35, but there are those who get fine lines at the age of 20. Ageing may be inevitable but, according to dermatologist Robin Ashinoff, MD, today’s information and technologies on facial aesthetics allow patients to achieve more youthful-looking skin. Our skin carries natural moisture content that keeps our skin fresh and supple. Every day, we lose water from our skin when we perspire and when we forget to moisturise. When you suffer from extreme dryness, your skin will start to flake and form unwanted lines. Leaving your skin dehydrated will allow more wrinkles to form on the surface, causing you to age faster. While a healthy dose of vitamin D is great for your body, prolonged exposure to the sun without protection from sunscreen may cause more harm than good. When UV rays penetrate into the surface of your skin, this causes damage and encourages the development of fine lines. Sometimes, you’re born with it. Your family may have a long history of premature wrinkles; this may mean you are likely to contract the same condition as well. We involuntarily make facial expressions when we speak to other people or when we laugh at jokes. These, however, may make wrinkles more prominent. More and more studies are confirming that smoking cigarettes does, indeed, speed up the ageing process of the skin. According to a study at the Twin Research Unit at St. Thomas Hospital in London, the sibling who smoked had thinner and more wrinkled skin than their non-smoker twin. Depriving yourself of sleep has several negative effects on your health, and one of them is making your skin worse. When you don’t get the sleep that you need, your body releases an excess of a hormone called cortisol, one that is known to break down skin cells. Widcombe Dental Practice understands the need to bring back youthfulness to your skin. Our treatments are designed to help our patients address those problems. Botox is a popular treatment among celebrities. Facial aesthetics practitioners inject a special solution into the skin to reduce the visibility of wrinkles and fine lines while enhancing the appearance of your skin. Dermal fillers, on the other hand, is similar to Botox but is more focused on the cheeks rather than the eyes and laugh lines. Once a specialist applies the gel, the results are almost instant. Widcombe Dental Practice is a private dentist in Bath that also specialises in facial aesthetics services. For more information about our services, browse through our website or call us now on 01225 807 732 to schedule an appointment. https://widcombedentalpractice.co.uk/wp-content/uploads/2017/08/shutterstock_239293147.jpg 853 1280 Dominate Dental https://widcombedentalpractice.co.uk/wp-content/uploads/2017/05/widcombe-dental-logo.jpg Dominate Dental2017-08-04 18:33:192018-07-25 15:03:28How to Minimise Wrinkles?